Soffits are boards, which are attached to the underside of the roof line and they help to keep the underside of the roof rafters dry and secure but their main role is to ventilate your property and maintain airflow around the roof top to stop mould growing and prevent condensation building up. A good ventilation system in your home can also prevent ice build-up in winter and cool your property in summer. Soffits come in all shape, sizes and materials, and can be matched to the size, colour scheme and style of your property so that you get the look you want alongside the right ventilation system for your property. Available in a range of colours and realistic wood grain finishes, in plain or tongue and groove and can be painted whatever colour you want. Wood or timber soffits are practical and decorative. They are most commonly used on older more traditional properties to maintain character and are generally painted to increase protection against weather conditions. This type of soffit does require constant maintenance to ensure that no rot or mould develops. This is one of the most common soffit materials. Vinyl soffits are durable, weather resistant, low maintenance and easy to fit and also come in a large range of colours that match your boards and other parts of the roofline. These are often installed with channel type rails and screwed or snapped to the underside of the fascia board. Metal soffits are lightweight and are easy to ventilate. If there is insufficient space to fit a soffit then an over fascia vent can be fitted to the top of the fascia board. This vent controls the airflow from within and is hidden behind the gutter, which adds to the final appearance. Soffit boards are already vented but disc vents can also be added along the soffit. Soffits can be fitted inside a building and these soffits perform numerous roles. They can be used to hide electrical or plumbing in kitchens, bathrooms and basements and can even be built around lights and add decoration to the interior. As the name suggests, this is one individual vent placed on the soffit, which is the sole point where air flows in and out of the building. This soffit is generally has a back to prevent pests such as bees or flies from entering the building through the vent. Most individual soffit vents can be custom shaped in accordance with the size and shape of your building, so the airflow is maintained with the utmost efficiency. These are used on very narrow soffits and are sometimes only two inches wide. Continuous vents also run for the entire length of the soffit and can be made from PVC or aluminium. Hollow soffit boards are a lightweight, cost-effective soffit solution, which can also be fitted with our highly effective ventilators. We supply high-quality, low-maintenance UPVC Soffit boards in a range of styles to suit any home. Soffit boards come with a range of different options. You can have plain or patterned soffits, regular soffits or vented soffits in a variety of materials to help your house breath and avoid condensation. 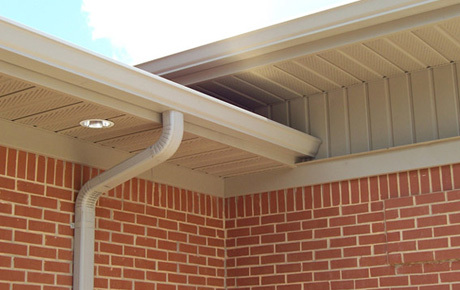 Our soffits not only protect the roofline, but also leave the underside of your roof looking clean and attractive and you don’t have to worry about dirt or rot in the future. 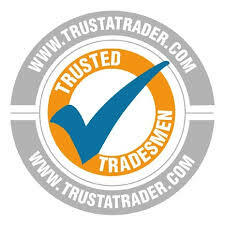 Some of the Soffits we supply and fit are guaranteed for up to ten years.